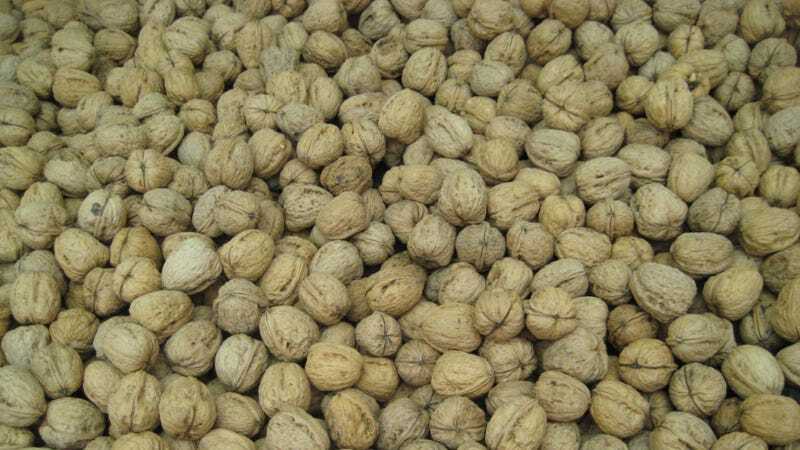 Local authorities in California's Central Valley are investigating what they are calling "sophisticated" thefts of walnuts by criminals posing as truck drivers. The scheme involves drivers showing up at nut processing plants with paperwork authorities believed was hacked away from farmers' databases. The papers are deemed credible, and the drivers make off with fuel, loads of processed walnuts, and then vanish. "The farmers and processors learn they have been duped only when the real drivers show up," station KPIX5 reports. The loads are reportedly worth millions, the station said. Approximately 150 farmers have formed a coalition to try to address the situation. Pistachio loads have also been targeted, CNBC reported in December. Nut thefts have been an ongoing problem in the region, as the state's drought has caused the prices of the crops to soar. In 2013, 140,000 pounds of walnuts were stolen from an orchard in Escalon, California, about 90 miles east of San Francisco—though in that instance, the theft involved brute force, namely cutting through wooden fence posts. But the hacked paperwork scheme seems to be ongoing, and investigators in another theft case said organized crime with “Russian and Armenian ties” may be involved. "Witnesses to several apparently related thefts last year in Tehama County, north of Sacramento, reported that a large man with a 'thick Russian accent' showed up in a truck and had paperwork that appeared to be legit," Modern Farmer reported in 2013.